Ashamed of their sins at Hiroshima and Nagasaki, Americans were actually awaiting payback along the lines of 9/11. You say you were unaware of any such feelings? That's only because your feeling was 'subliminal.' Your shame was 'unconscious.' Well, that, or the fact that you just don't have the same exquisitely refined sensibilities of Boston Globe columnist James Carroll. 'The latest violence in the Middle East demonstrates the bankruptcy of the Bush administration's grand design for the region.' Stay with me - Bob's just clearing his throat. 'The quagmire has demonstrated the humiliating limits of US military power.' Crocodile tears? 'Bolton and the other radicals in the administration want Israel to keep pummeling Lebanon a while longer.' No, they want Israel to keep pummeling Hezbollah, which is based in Lebanon. 'The party of mutual Armageddon . 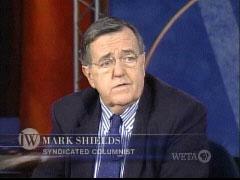 . . the war party of Hamas, Hezbollah, the Israeli right, the Iranian ultras, Rumsfeld, and Cheney.' Moral equivalence strikes again. The terrorists, and those who would stop the terrorists - same difference. On Friday night’s edition of Inside Washington, a program which airs on the Washington DC area PBS station WETA, and re-airs on Sunday mornings on the DC ABC affiliate, WJLA, and consists of a round table of political pundits, one of the topics discussed was North Korea. As was widely discussed last week, North Korea test fired a long range missile that could potentially hit the United States called the Taepodong 2 missile. Give the Ragin' Cajun credit: the man works fast. 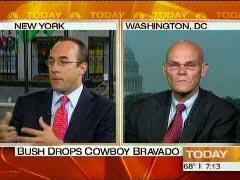 In a Today show appearance lasting only six minutes, and shared with former Bush administration official Dan Senor, Carville managed to work variations on the word 'failure' into his comments no fewer than six times. Twice in less than 24 hours, Jim Pinkerton, conservative columnist at Newsday and Tech Central Station, left liberal talking-head rivals at a loss for words on the issue of missile defense. 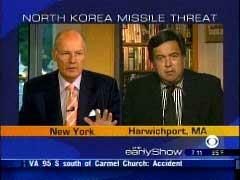 For the second day in a row, Harry Smith, co-host of CBS’s "The Early Show" interviewed a guest about North Korea and its missile tests. 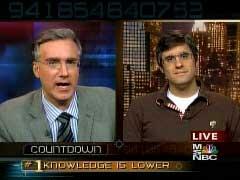 Today’s analysis came from frequent guest Michael O’Hanlon of the Brookings Institution. And while Smith once again referred to Kim Jong-Il as a nutcase and even inferred that he is a despot, he was easily amazed at O’Hanlon’s suggestion that he is crafty. 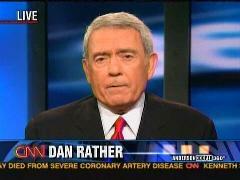 Disgraced former CBS anchorman Dan Rather resurfaced Wednesday night on CNN, where he was a guest on "Anderson Cooper 360." Cooper didn't apologize for calling dibs on some of Rather's "60 Minutes" real estate, but maybe the air time was a bit of a thank-you card. 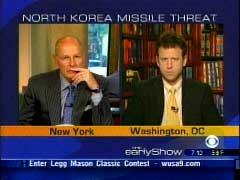 CBS "Early Show" host Harry Smith performed two interview segments on North Korea's failed missile test. 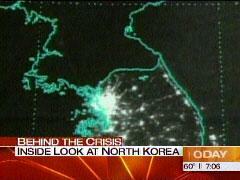 N. Korea: What, No Free Health Care? To those of us who see the Castro regime as an ugly dictatorship whose people are mired in poverty due to the communism it has imposed, little is more annoying than to hear the MSM tout the glories, as reported here by MRC, of Cuba's 'free health care,' and low illiteracy and infant mortality rates.